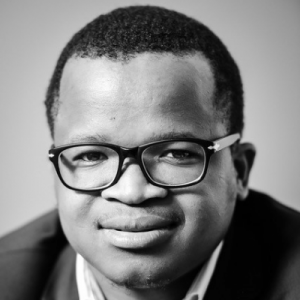 Big versus Small Farms – Where is South Africa in this Mix? I am currently at a food joint in Klerksdorp, and thought I would take a stab on the subject we will be discussing at NAMPO in Bothaville tomorrow morning – the importance of scale, which basically means ‘Big versus Small’. Without delving into the subject (will save that for tomorrow) – I thought a brief reflection on the changing of South African farm sizes would offer some insight in this subject. For starts, the total area farmed in South Africa grew from 77.8 million hectares in 1918 to a peak of 91.8 million hectares in 1960, and declined to 82.2 million hectares in 1996, and has somewhat stabilised since then (see feautured image). Over this period, the average farm sizes declined in the 1940’s, from over a thousand hectares to around 700 hectares in early 1950’s. 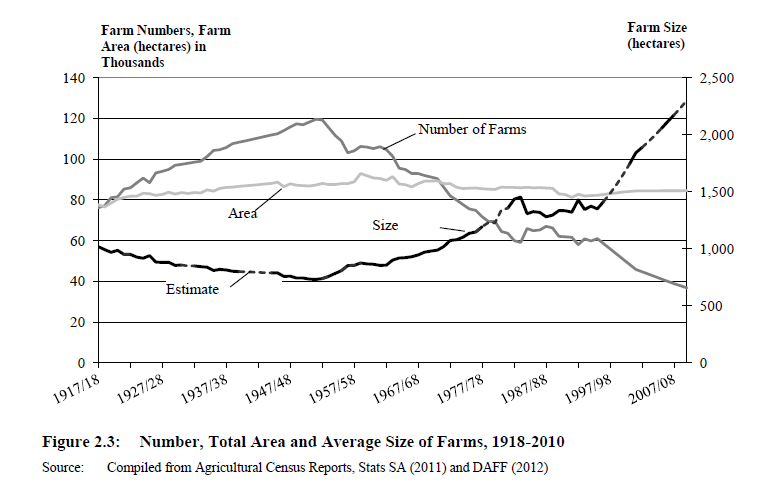 The farms started to increase in size again in the late 1950’s and have maintained the trend since then. In his PhD thesis, Liebenberg highlighted that the average commercial farm size in South Africa was about 1 640 hectares in 2000, and continued to grow to about 2 113 hectares per farm in 2007 (see feautured image). Appreciating the aforementioned trends in the South African farming environment and the benefits of economies of scale (which means a relatively lower input costs and better rewards), as well as the ease of technological application — tomorrow will hear more about what people prefer — Big versus Small?